Ten weeks is just about the shortest amount of time there is. Two days a week at seven hours a day adds up to 140 hours that I worked for Razorbill, an imprint of the Penguin’s Young Readers group. Time, specifically 140 hours, is everything and also not nearly enough when you are doing the thing you have desperately wanted for the past six years of your life. I have wanted to work in the publishing field since I was sixteen. I actually probably knew this a lot earlier but I committed myself to this idea six years ago. At the time, all I knew about the publishing industry was that editors improve stories before they become actual, physical books. And so I decided that was what I wanted to do. Obviously then, I was so grateful when Sigma Tau Delta gave me the opportunity to do what I had been dreaming of since I was sixteen. 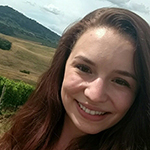 Being selected as a Sigma Tau Delta Penguin Random House Internship finalist and then being awarded a Penguin Internship Stipend after I secured the internship helped me learn what it means to be in the publishing industry. I have spent hours researching the industry since I began the internship, and have learned so much that I can put to practical use. Razorbill publishes Young Adult and Middle Grade books, mostly fiction with a little non-fiction sprinkled in. Familiar with the new Netflix sensation, 13 Reasons Why? Yeah, Razorbill published it. I also heartily recommend An Ember in the Ashes and The Valiant, if you want to explore more of their publications. Razorbill consists of a small team of dedicated editors whom I assisted by reading new material. (I helped people. By reading. Never, ever going to get over that!) 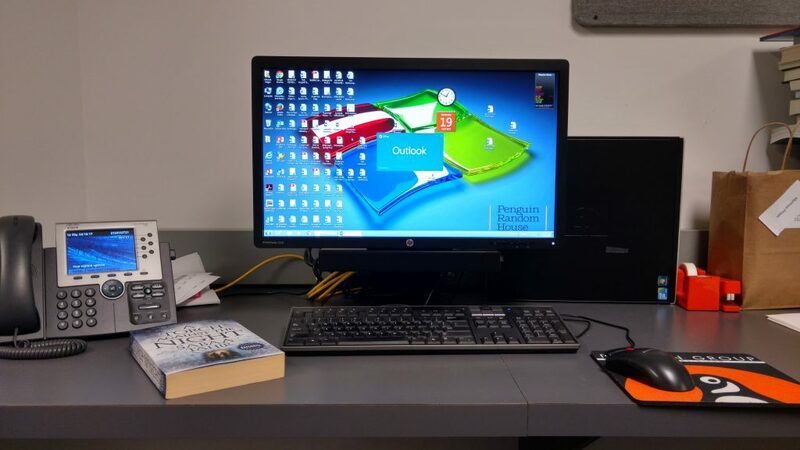 I was tasked with reading from the slush pile, which was made up of unsolicited manuscripts, and sending rejection letters as well as reading agented submissions and writing reader’s reports. These little write ups would help the editors determine how much time, if any, they wanted to spend reading the manuscript. I would talk about the story’s plot, its characters, the writing style, or anything else that jumped out at me. I also helped curate content for Razorbill’s various social media platforms. Because I was doing what I loved, time passed so quickly. 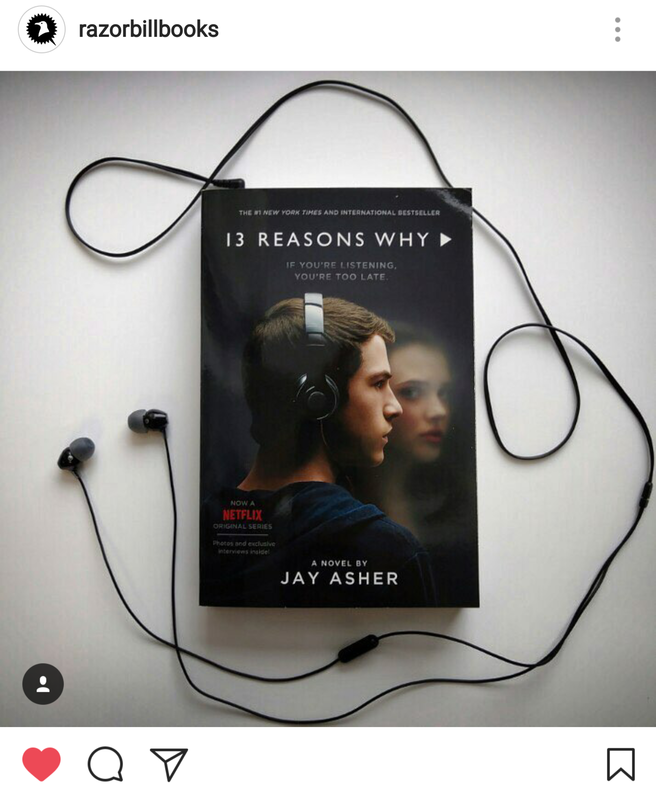 That picture you see of the Netflix cover of 13 Reasons Why? I probably spent over an hour trying to take the perfect picture of that book. 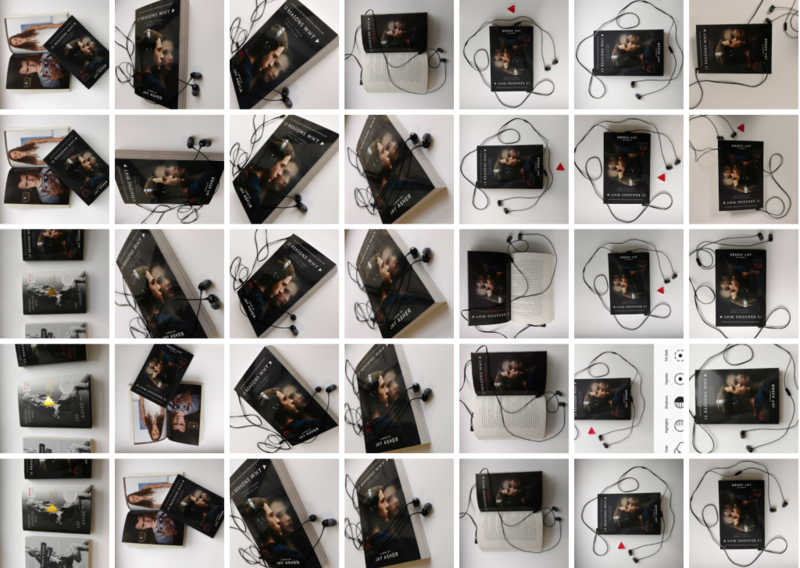 First of all, know it is very hard to take Instagram-worthy pictures of books when your hands shake. But more seriously, it didn’t feel like an hour at all, because doing it was a part of the job I had been dreaming of for years. Five weeks into our time at Penguin Random House, another intern said to me, “We’re half way done. Ten days left,” and I just about leapt out of my chair. I couldn’t believe we were halfway done—that all we had was twenty days at this marvelous place. There had been so much I was putting off, questions I wanted to ask members of my team, people from other departments I wanted to meet, things I wanted to see or try. But I had been saving them for later, until I was just a little more comfortable, until I knew my supervisor just a little bit more, until I was just little less nervous. I quickly realized how silly that was! I had a limited amount of time for an amazing opportunity, and you better believe I moved all of the things I had been waiting for to the very top of my to-do list. Fear can do this sometimes, get in your way and cloud your sense of time. It likes to whisper at you that now is not the right time. But when you only have 140 hours to do the thing you dreamed of doing, now is exactly the right time. 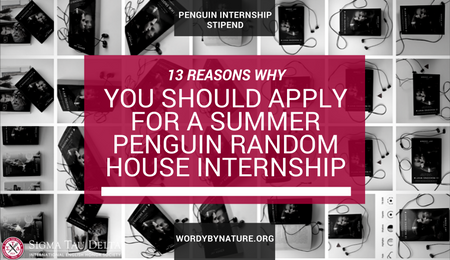 Paid internship opportunities are available from Penguin Random House to provide interested undergraduate student members of Sigma Tau Delta with experience in the publishing industry. The internship will run ten consecutive weeks in New York City (NYC), June 4 – August 10. The recipient will work 28 hours per week, earning $13.00 per hour. Sigma Tau Delta will provide the recipient an additional $1,500 stipend to assist with expenses.